Recognize important employees or someone special with a functional, beautiful personalized award clock. These unique and finely crafted timepieces make a great corporate gift or just a popular gift to congratulate an employee. The executive clock selection represents our finest in award clocks available. Also checkout our exquisite walnut and crystal award clocks. These award clocks make great awards to be cherished for years. 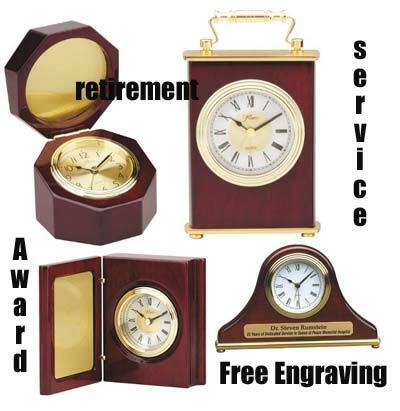 Personalized engraved clocks include your meaningful inscription or logo. We make ordering your personalized award clock easy and fast!